Expansion and restructuring of office space for a staff of 250 in the Vienna Twin Tower. Openness, transparency and a vision - the corporate philosophy is reflected in the architectural concept. 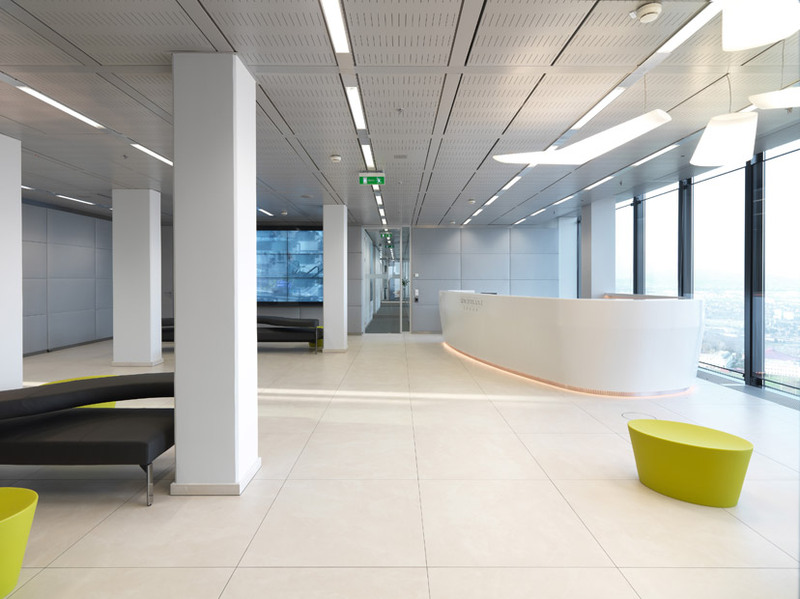 A bright and open reception area welcomes those entering with a monolithic, curved desk and the impressive view of Vienna. The imposing hall with a conference area stands as a counterpart to the functional areas for staff.